Pets face many of the same issues as humans. Many pet foods are over processed and have little nutritive value. Dogs and cats breathe in the same pollution as we do, inhaling free radicals. Powerful antioxidants like OPCs help to strengthen your pet’s free radical defenses. Antioxidants promote cardiovascular health, support healthy visual acuity, promote healthy blood vessel dilation and promote healthy platelet activity. Your Pets and Joint Health As pets become older, antioxidants become even more important in the fight against free radicals and their associated effects on cells in joints and other tissues. All animals need joint support as they age. Many factors can affect joint health and the integrity of cartilage, including diet, genetic make-up and activity levels. PetHealth OPC is a food supplement made from a combination of bilberry, grape seed, red wine, pine bark extracts, citrus extract bioflavonoids, and glucosamine, designed to promote healthy joints and provide a strong antioxidant defense. Oligomeric proanthocyanidins (OPCs) are bioflavonoids (complex organic plant compounds) found in fruits, vegetables and certain tree barks that provide exceptional nutritional benefits to your pet’s body. Studies have shown OPCs to be more powerful than vitamin C and vitamin E in neutralizing free radicals. 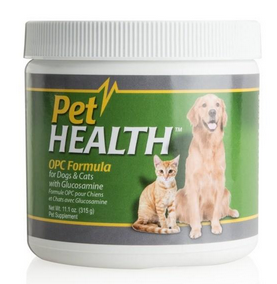 PetHealth OPC Formula with Glucosamine offers a unique, great-tasting powder that is sprinkled over your pet’s regular food. It represents the latest technology available today in naturally based pet food supplements. Dogs are energetic and playful – which often leads to a dirty mess for you! With so many choices on the market, what dog shampoo is best for your pet? A dog’s skin can be very sensitive, making PetHealth Hypoallergenic Dog Shampoo an optimal chemical-free choice. This oatmeal dog shampoo leaves your dog feeling clean and smelling fresh while keeping his skin and coat hydrated. Give your dog the royal treatment with this perfect coat dog shampoo. This hypoallergenic shampoo for dogs boasts ingredients such as oatmeal, lavender, honey and aloe, and it contains no harsh, irritating phosphates, sulfates, preservatives, parabens or alcohol. 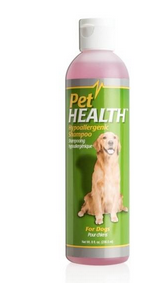 PetHealth Hypoallergenic Shampoo is odor neutralizing and leaves your dog smelling clean and fresh without an overwhelming perfume scent. The plant-based ingredients in this dog shampoo give your dog’s coat a clean and shiny appearance without exposing him to harsh chemicals. 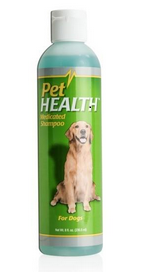 Keep your dog comfortable and itch-free with the vegetable-based, preservative-free PetHealth Medicated Shampoo. This medicated shampoo for dogs is optimal for your precious pet’s skin health and is also phosphate, sulfate, alcohol and paraben free. Pets are exposed to environmental irritants daily, and this sensitive skin dog shampoo helps to cleanse, moisturize and soothe, while maintaining the natural lipid barrier of your pet’s skin. This shampoo helps to calm and soothe itchy and irritated patches of skin, and the formula is safe to use on puppies. Great for dogs with itchy skin, this PetHealth shampoo also has anti-bacterial and anti-fungal functions to maintain skin health. The panthenol in this anti-itch shampoo for dogs helps the skin maintain its natural moisture balance. The shampoo also contains menthol, camphor and peppermint oil, which leave your pet with a mint-fresh scent. Odor neutralizers in this product eliminate pet odors and have a long-lasting effect. This plant-based shampoo for dogs with itchy skin is the ultimate in skin and coat care for your beloved pet. Dogs, like humans, are increasingly subjected to diets that are over-processed and unhealthy, and are exposed to a variety of environmental pollutants that can wreak havoc on the body. Poor nutrition and constant exposure to environmental irritants can lead to a variety of health concerns. Poor nutrition can dull the natural texture and shine of your dog’s skin and coat. Along with a balanced diet, a good dietary supplement is beneficial in helping your pet maintain good health. Although a good balanced diet will provide a solid foundation, food alone may not supply all of the nutrients necessary to fulfill their unique requirements. All animals have different nutritional requirements and factors such as age, activity level, environment, genetics and breed will greatly affect the absorption of nutrients from foods. It is, therefore, important to provide your pet with an adequate supply of nutrients, which will support the body in successfully working, growing and developing properly. PetHealth Dog Multi-Vitamin Formula supplements your dog’s diet with an adequate amount of key vitamins and minerals necessary to maintain optimal health. 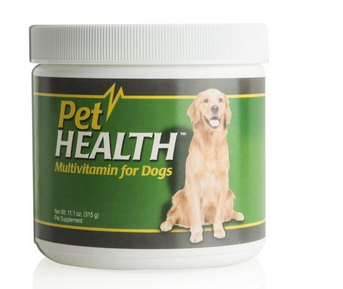 PetHealth Dog Multi-Vitamin helps promote healthy skin and eyes, helps promote the normal repair and growth of body tissues, provides antioxidant support, supports a healthy immune system and promotes digestive health. 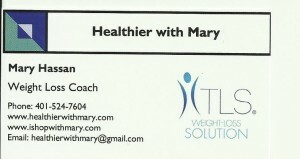 PetHealth, Advanced Solutions for Optimal Health! Give your pet the same level of skin care treatment you give yourself. The pads and paws of pets can get cracked and calloused, just like your own hands and feet. 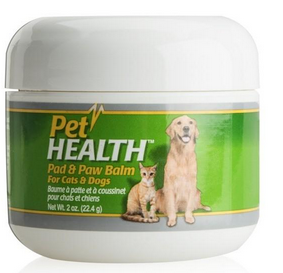 PetHealth Pad & Paw Balm is a topical treatment that moisturizes and protects your pet’s delicate pads and paws. Paw balm for dogs provides dog foot protection that helps maintain skin elasticity and allows your dog to run, play and enjoy life. Cat owners find that paw balm helps prevent minor skin irritations, whether the cat lives indoors or out. Use PetHealth Pad & Paw Balm to protect your pets from all potential paw irritants: cold weather, gritty sidewalks, yards or parks that might contain sharp stones. Cracked pads on dogs’ feet can happen year-round, so apply the balm regularly to cleanse and moisturize your dog’s pads and protect your dog’s feet. Dry cat paws also need regular moisturization to prevent painful cracking or skin irritation. PetHealth Pad & Paw Balm contains essential lipids to protect the lipid barrier of your pet’s skin, promoting paw health and helping your pet maintain an active, happy lifestyle.